Get super smooth and quiet slides and tracking shots with the new, professional Slideways carbon fiber slider. Mount loads up to 11 lbs and track them easily on the heavy duty camera platform with integrated bearings. The rails are made of durable and lightweight carbon fiber giving this slider extra strength and rigidity while maintaining a light weight. There are multiple mounting holes underneath for attaching to tripod heads using 1/4-20 or 3/8-16 screws. On the ends, there is the option to mount to 3/8-16 threads. 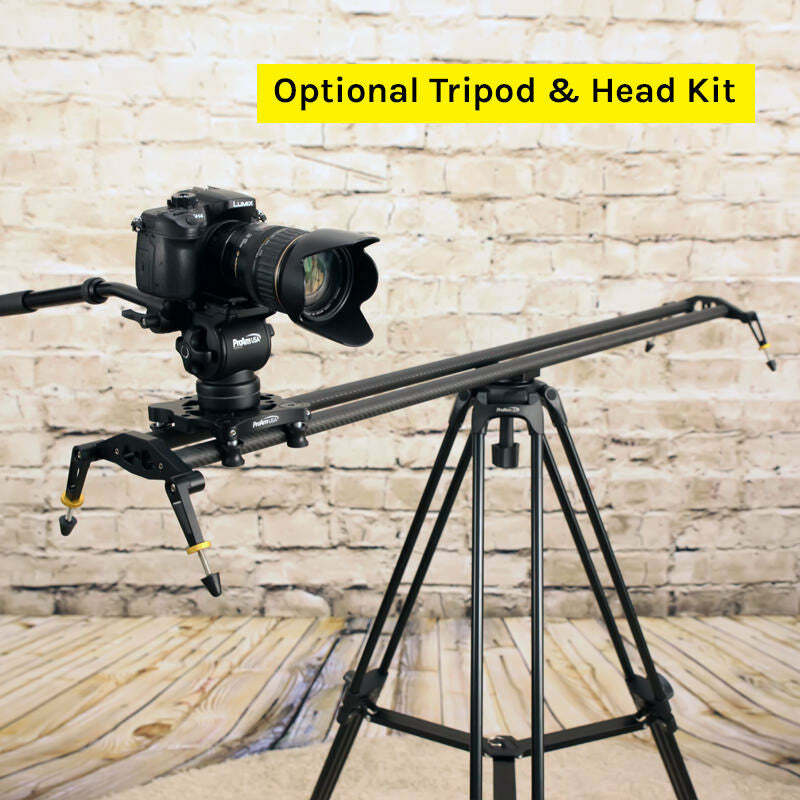 A 3/8-16 universal mounting screw is provided for mounting your tripod head to the platform. Your productions will pop with smooth slider shots! Will this work with Blackmagic Cinema Camera 2.6 with 50mm lens? Yes, that would be a good combination for the slider, which can support up to 11 pounds. I'd recommend combining it with our new fluid head for compound shots. We don't have a listing for them, but we could sell you an additional camera mount. Please contact us directly to purchase.